This is other Alpico bus web site. If you come here from Takayama station, please get a bus to Matsumoto and get off at Oyakodaki. We’ll pick you up at Oyakodaki bus stop after 15PM. Please make sure to inform us your arrival time at Oyakodaki bus stop one day before your arrival at the latest. There are buses from Kamikochi to Norikura kogen. 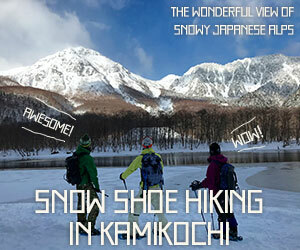 We recommend you to get a bus at 15:35 departing from Kamikochi bus terminal to Norikura Kogen. This bus goes to Norikura Kogen directly. You need to exchange a bus at Sawando or Oyakodaki if you take other time bus. From the Maekawado crossing on Route 158, turn to Prefectural Mt. Norikura Route. Turn left at the Tourist Center (or “Kanko” Center) and you’ll soon find signs for Guesthouse Raicho. Once you enter Norikura Kogen (Highlands) you’ll find numbered maps of places you can stay. Guesthouse Raicho is Number 5 of Block 21. Copyright © Japanese Hotspring Guesthouse Raicho|Shinsyu,Norikura,Kamikochi All Rights Reserved.